THE BRONX (WABC) -- Yankees General Manager Brian Cashman promised not to move any of the team's top tier prospects. Instead, he got creative and unloaded some lower tier ones to make the Yankees a much deeper team that is hopefully good enough to qualify for the postseason. 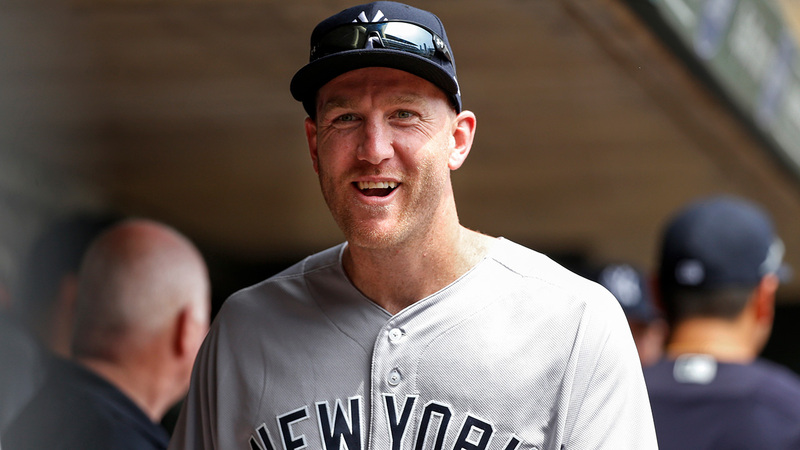 Local hero Todd Frazier is getting much of the attention. The Toms River kid who led his team to the Little League World Series title in 1998 and was the Big East player of the year while at Rutgers is the biggest splash of the deal, and Frazier will add some punch at third base even though his .208 batting average could become a rally killer. He is a slight upgrade over Chase Headley, but offense is not the Yankees problem. Where Cashman scored big points is adding two big time relievers. Don't the Yankees need starting pitching, you ask? The answer is yes, but the cost would almost certainly be one of the big-time prospects. So the Yankees added David Robertson and flamethrower Tommy Kahnle. The move gives the Yankees arguably the deepest bullpen in baseball, which means they now can ask their starters to go just six innings before handing the ball over to a loaded pen that still boats Adam Warren, Dellin Betances, Chad Green and Aroldis Chapman to go along with the newest relievers. Manager Joe Girardi can mix and match, and he has at least three capable closers on any given day. So are the Yankees a sure thing to make postseason? Nothing is a certainty, but they are a more complete and dangerous team now. And they're probably not done making moves. Cashman is still searching for another starter, just don't expect that person to be a top tier pitcher who would cost a top prospect. But then again, don't bet against Brian Cashman.